Bet you wish that you'd had that shot. Grayson: Bet you wish that you'd had that shot. 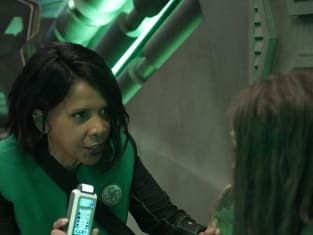 The Orville Season 2 Episode 10: "Blood of Patriots"
Malloy: Look, Orin, I know you're a patriot at heart. And, when you boil it down, that's what this is about. Orin: Patriotism is only for people with large families. Permalink: Patriotism is only for people with large families. Permalink: Bet you wish that you'd had that shot.